Good morning, and welcome to today's episode of Keeping Up With Kendall Jenner's Love Life. The last we really heard about who Kendall was coupling (koupling??) up with was at Paris Fashion Week about a month ago, when there was an investigation into whether or not Kendall and Anwar Hadid were sporting matching hickeys. June: Kendall and Anwar seen making out. July: Kendall and Ben are rumored to be dating and are seen cuddling. August: Kendall and Ben go to Mexico together. September: Kendall and Anwar seen canoodling, have matching hickeys. November: Kendall and Ben seen on a date. 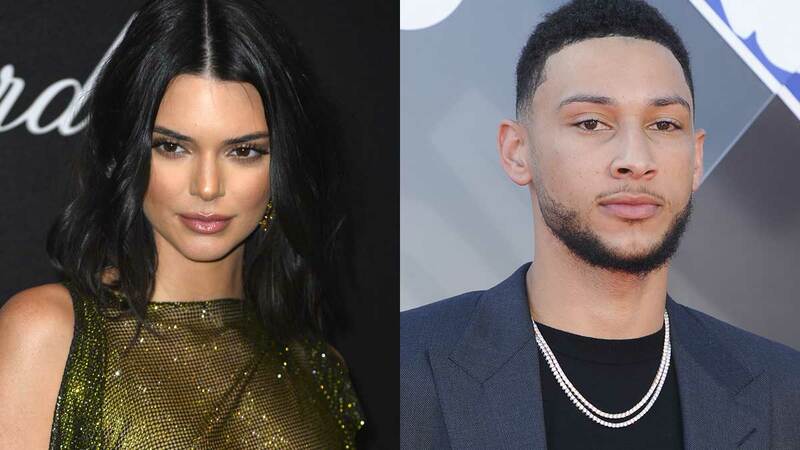 TMZ reports that Kendall and Ben were seen together on Thursday night after Ben's 76ers game. The game was in Philadelphia, so either Kendall had some stuff going on in Pennsylvania, or she flew in just to see Ben. And lest you think this was just a 'let's talk things out' meet up, Kendall also actually attended the game, which feels very date-y. So are these two fully back on? Unclear. But what I do know is that I am loving this Anwar-Kendall-Ben love triangle, because get it girl.